The Lucky Dragon No. 5 today. (Image courtesy of Wikipedia). 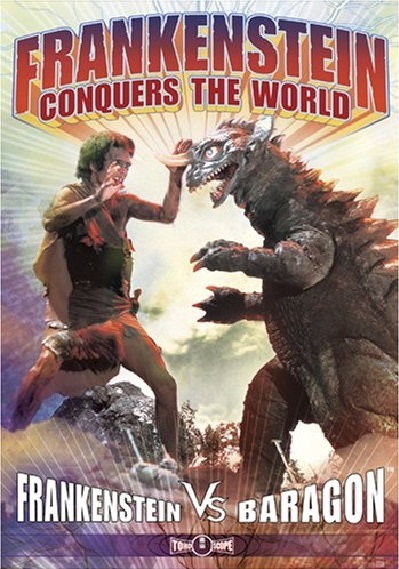 Every Godzilla fan knows the story of the Lucky Dragon No. 5 (Daigo Fukuryu Maru). It was a fishing vessel that was exposed to nuclear fallout from the Castle Bravo test. While it was outside the predicted danger zone, the H-bomb detonated by the U.S. on the Bikini Atoll was far more powerful than expected, and on March 1, 1954, the 23-man crew of the ship were contaminated by the radiation. All of them suffered radiation poisoning and one died. 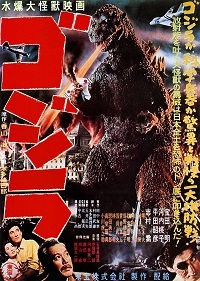 This event was fresh on the minds of the creative team at Toho working on Gojira. It’s why the film opens with a scene of a fishing vessel being destroyed by a blinding flash, which turns out later to have been Godzilla, and why it was implied that Godzilla was awakened and mutated by American H-bomb tests. The Japanese newspaper Asahi Shimbun was recently granted a rare chance to tour the inside of the now 70-year-old ship, which was decommissioned in 1967 and later moved in 1976 to the Yumenoshima district of Tokyo’s Koto Ward and preserved in a museum in the Daigo Fukuryu Maru Exhibition Hall. They took several photos and 360-degree images of the boat. You can view them here. To this day, the ship remains a symbol of the anti-nuclear movement in Japan. Along with the bombings of Hiroshima and Nagasaki at the end of World War II, this was one of the most potent and palpable examples of the “nuclear curse” on Japan. It was a demoralizing blow to the Japanese psyche, which was suffering other repercussions from nuclear tests at the time, such as contaminated fish being caught in their waters. It wasn’t until the 3/11 disasters, which included the Fukushima meltdown, that Japan suffered as large a nuclear-related incident. These led to an increase in distrust of nuclear power and the shutdown of many nuclear plants. This is problematic given that Japan is in desperate need of domestic energy sources since, being an island nation, they have to import most of them. You might think it’s crazy, then, that anyone in Japan would want to preserve a ship that reminds them of this “curse.” I think the Japanese do it for that very reason. It allows them a means to look back on their past and remember their convictions. These events have made indelible marks on their history and culture, and they can’t afford to forget them.